Wow! Talk about a great way to end the year. Check out this big news out of Seattle! Seattle Mayor Mike McGinn sent a letter to the city’s two chief pension funds on friday, formally requesting that they “refrain from future investments in fossil fuel companies and begin the process of divesting our pension portfolio from those companies.”“Climate change is one of the most important challenges we currently face as a city and as a society,” wrote Mayor McGinn in a letter to the Seattle City Employees’ Retirement System (SCERS) Board and the City of Seattle Voluntary Deferred Compensation Plan Committee. “I believe that Seattle ought to discourage these companies from extracting that fossil fuel, and divesting the pension fund from these companies is one way we can do that.”Over 2,000 people joined 350.org in Seattle on November 7 to kick-off the “Do the Math” tour and nationwide divestment campaignAlong with encouraging the pension funds to divest, Mayor McGinn also committed to making sure that city funds stay out of the fossil fuel industry, writing, “The City’s cash pool is not currently invested in fossil fuel companies, and I already directed that we refrain from doing so in the future.”Valued at $1.9 billion, SCERS is also the largest investment portfolio yet to consider fossil fuel divestment. While the full value of SCERS fossil fuel investments is still unknown, according to the city’s finance director, the system currently has $17.6 million invested in ExxonMobil and Chevron, which represents roughly 0.9% of the system’s assets. Wow! Talk about a great way to end the year. Check out this big news out of Seattle! Valued at $1.9 billion, SCERS is also the largest investment portfolio yet to consider fossil fuel divestment. While the full value of SCERS fossil fuel investments is still unknown, according to the city’s finance director, the system currently has $17.6 million invested in ExxonMobil and Chevron, which represents roughly 0.9% of the system’s assets. Seattle is the first city in the nation to join the growing Go Fossil Free divestment campaign, an effort that has quickly spread to over 192 campuses across the country and is now moving off campus to cities and states. Mayor McGinn helped launch this new divestment movement on November 7, at the kick-off event for the “Do The Math” tour, a 21-city roadshow put on by the international climate campaign 350.org to connect the dots between extreme weather, climate change, and the fossil fuel industry. 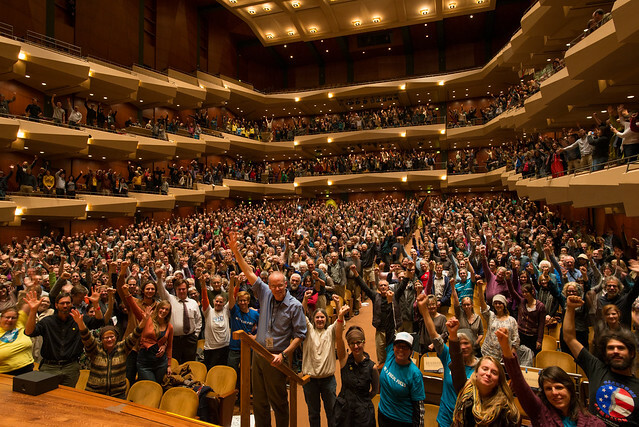 Standing in-front of 2,000 cheering Seattle residents, Mayor McGinn committed to look into divesting city funds from the industry–on Friday, he made good on his word. In his letter to the pension boards, Mayor McGinn highlighted the threat climate change poses to Seattle and the reasons why divestment was both the moral and responsible thing to do. I write to you today to ask that you refrain from future investments in fossil fuel companies and begin the process of divesting our pension portfolio from those companies. I recognize that this process will require a thorough evaluation of the portfolio’s performance, assets, and investment strategies. City staff stand ready to assist you in this work. Climate change is one of the most important challenges we currently face as a city and as a society. We have watched in recent weeks as weather influenced by climate change has caused significant damage and financial losses to cities and states on the East Coast. The projections suggest that the problem could get much worse. 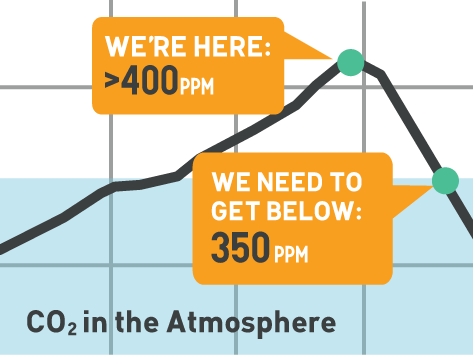 According to Bill McKibben and 350.org, fossil fuel corporations now have 2,795 gigatons of carbon dioxide in their reserves, five times the amount considered safe to avoid catastrophic climate change. I believe that Seattle ought to discourage these companies from extracting that fossil fuel, and divesting the pension fund from these companies is one way we can do that. The City’s cash pool is not currently invested in fossil fuel companies, and I already directed that we refrain from doing so in the future. In addition, I am asking the Deferred Compensation Plan Committee to develop options for City employees to allow them to move their investments out of fossil fuel companies if desired, and to offer fossil fuel free investment choices to them refrain from future investments in fossil fuel. The City of Seattle’s finance director informs me that two of the system’s top 10 investments are with ExxonMobil and Chevron. The pension system has currently $17.6 million invested with these two firms, which represents roughly 0.9% of the system’s $1.9 billion in assets. I understand that it is likely the system has investments in other fossil fuel-related entities as well. There is a clear economic argument for divestment. While fossil fuel companies do generate a return on our investment, Seattle will suffer greater economic and financial losses from the impact of unchecked climate change. Our infrastructure, our businesses, and our communities would face greater risk of damages and losses due to turbulent weather that climate change causes. As a waterfront city, several of our neighborhoods and industrial districts are at risk if climate change causes a significant rise in sea level. I believe that Seattle’s pension funds should be invested in companies that can provide a good return on our investment without putting our city and our future at risk. I am ready to work with the City Council and the pension board to make this happen.